We are excited to announce the addition of Ariana DeMers, D.O. to the Interventional Orthopedics Foundation Board. Dr. DeMers is a board-certified, fellowship-trained orthopedic surgeon. 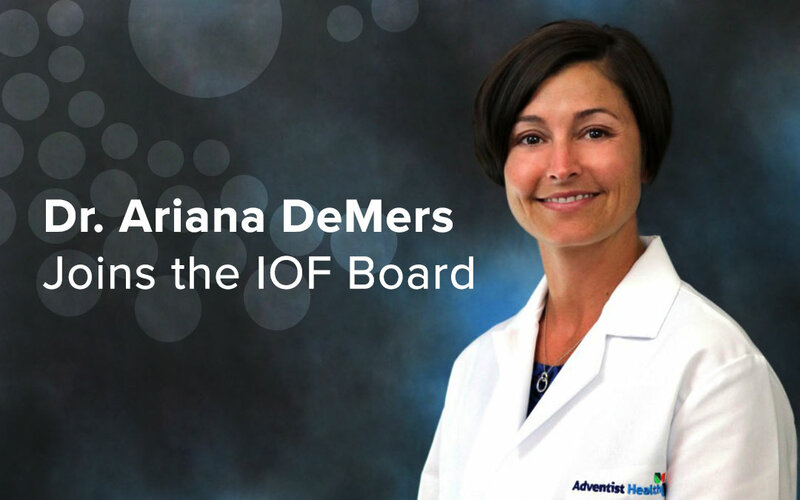 She earned her medical degree from Oklahoma State University College of Osteopathic Medicine and completed her residency in orthopedic surgery at Ingham Regional Medical Center in Lansing, Michigan. Dr. DeMers completed a one-year sports medicine fellowship with the renowned Taos Orthopaedic Institute in Taos, New Mexico. Recognizing a need for alternative treatment options for orthopedic injuries, in 2019 Dr. DeMers founded Restore Orthopedics & Sports Medicine in Sonora, CA. In her practice she treats everyone from kids to high school and college athletes to weekend warriors with cutting edge technology to return them to a high level of activity as quickly as possible. She is also the founder of the Sierra Orthopedic Institute and the director of the Center for Sports Medicine, both in Sonora. Dr. DeMers serves as head team physician for Colombia College and Sonora High School.